So, you've succeeded in rationing out those stouts and winter warmers you were hoarding since fall. Now it's on to lighter weather, and lighter brews. With rising temps making it harder to crave rich, heavy-bodied beers, we have a selection of less-filling options that still deliver on the flavor front. These are the Texas beers that will carry you through the spring. While you can drink an IPA all year, sometimes you just want one that is light in alcohol content, but with a lot of flavor. 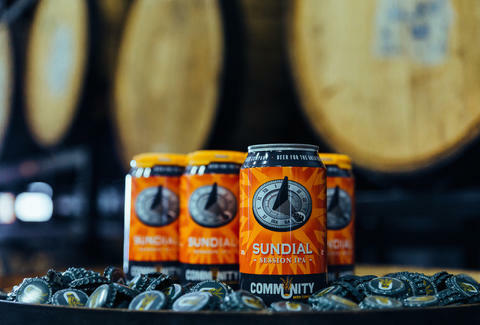 Sundial is a well-rounded session IPA that has a hoppy citrus nose and the kind of full-bodied flavor profile that you would expect of full-on IPAs, but with a lower alcohol content, so you can actually remember spring break. There is nothing better than spring citrus fruits, and Alamo Beer Company decided to bring that concept to their spring seasonal, Fiestaval. It is a surprisingly flavorful beer, with light body and light alcohol content. The coriander gives Fiestaval just a touch of spice, which blends well with the citrus profile of this well-balanced witbier. We suggest stocking up on this before it disappears in mid-April. Courtesy of Real Ale Brewing Co. 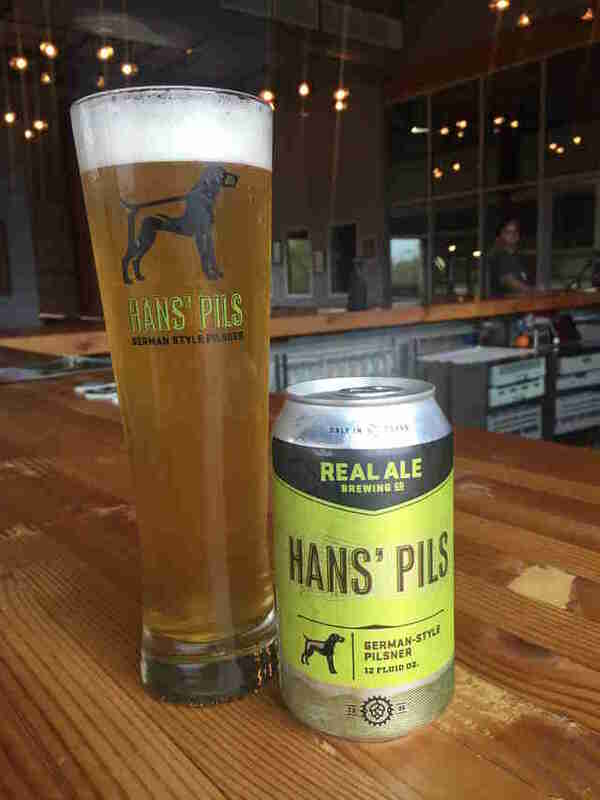 While Hans' Pils isn’t a spring release, it is a great beer to enjoy in warmer temps. It has almost a cult following among Texas craft beer fans. It pairs great with nearly any style of food and is probably the perfect beer to shotgun. The flavor is crisp and hoppy; one might even confuse it for a pale ale. Whether you are relaxing on a beach, or -- well, why do anything else? -- Neato Bandito is the beer that sets the mood. There is a lot of flavor packed into these little cans. You get a flavor profile of bread and earth, with just a touch of hop bitterness. 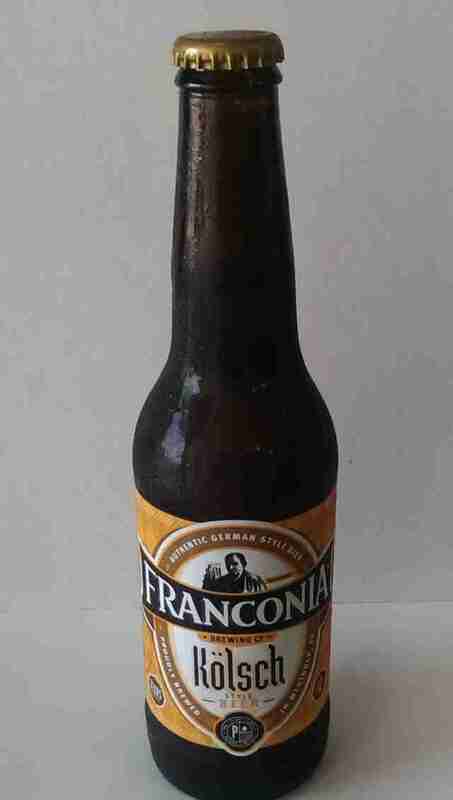 It is a very easy-drinking beer, one that you can even give your friends who like cheap Mexican beer. (But don’t you dare put a lime wedge in it.) Luchador masks are not required, but strongly suggested. 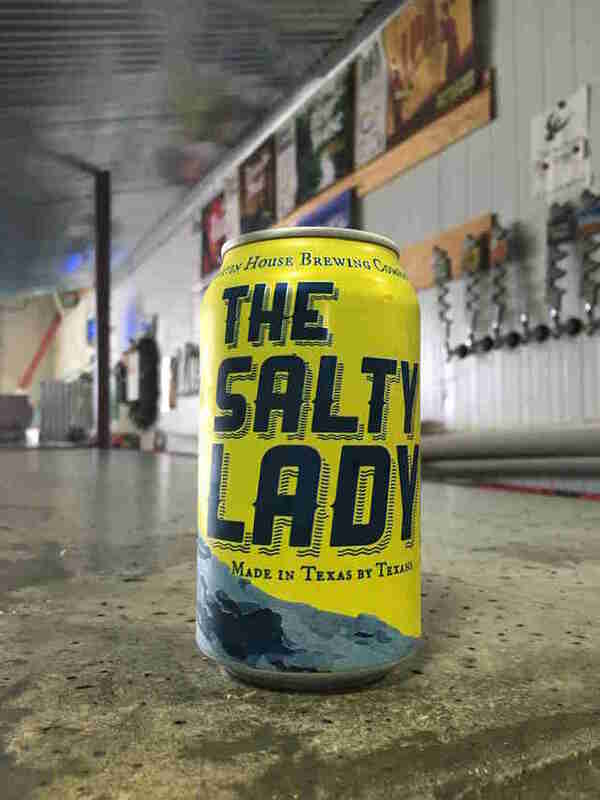 If you’re a fan of lemon-lime Gatorade, then you’re really going to appreciate what Martin House is doing with The Salty Lady. It's an interpretation of a German-style gose, a light beer that has a citrus base with a noticeably salty profile. Somehow the salt makes this beer feel refreshing. I don’t know if I would grab for one during a 5K, but then again, I don’t know that I wouldn’t. Let the beer warm up a little in the spring weather and watch this beer quench your thirst. Heavy Machinery is not for the faint of heart. This beast is 10% ABV, with an amazing profile thanks to the 6lbs of hops per barrel, followed by a semi-sweet malty body that balances out the heavy load for an almost orgasmic experience. Heavy Machinery is not for those looking for something light and sessionable. After just a few of these, you won’t be handling any heavy machinery. Courtesy of Karbach Brewing Co. 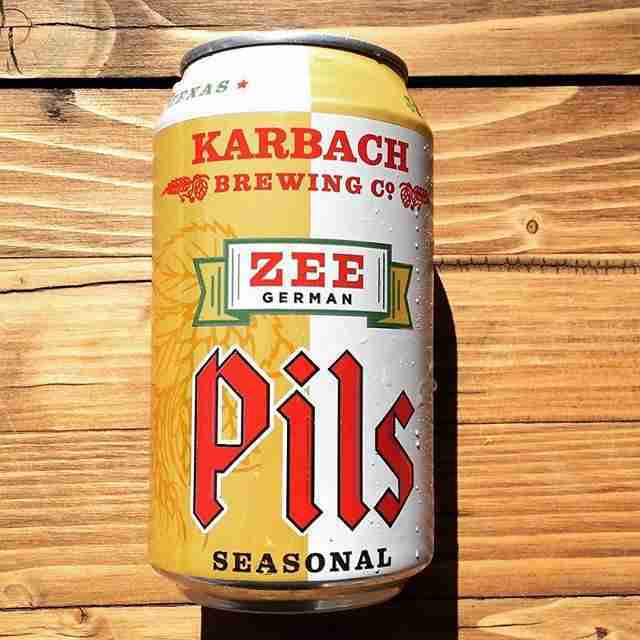 Inspired by the German heritage that has shaped Texas, Zee German Pils is a nice medium-bodied beer that has a clean German malt flavor profile with a little spice and a lightly bitter hop finish. This is the kind of beer you want in your hand while you’re tending to the barbecue pit, or just want to spend the afternoon on a patio. We suggest picking up a few sixers and brats to make your weekend worthwhile. Hops & Grain is known for its hop-forward beers, and A Pale Mosaic might be one of its best. While it is not a seasonal, it is a damn good beer no matter the time of the year. Despite an ABV of almost 7%, A Pale Mosaic has a rather light body that finishes clean. Mosaic, Simcoe and Nugget hops are what really bring this beer to life and keep you coming back for more. Lucky for you, Hops & Grain keeps this beer on shelves and bars all year. God bless Texas! If there is anyone who knows how to brew true German beers, it is Dennis Wehrmann, who was born in Germany and whose family has been brewing since the 1800s. This koelsch is light and bready, with a citrus background, and is very sessionable. Franconia’s Kölsch is a beer that craft beer fans appreciate and newbies will get behind. Texas strawberries are sweeter than anywhere else in the country, and when you mix them with a light-bodied blonde ale, you have one heck of a spring beer that makes your palette happy. The nose has a noticeable strawberry bouquet, and you get just a kiss of sweetness on the tongue. It is a very light beer that is crisp and enjoyable in the warming weather. Be sure to take a six-pack on your next picnic in the Hill Country as you hunt for bluebonnets. 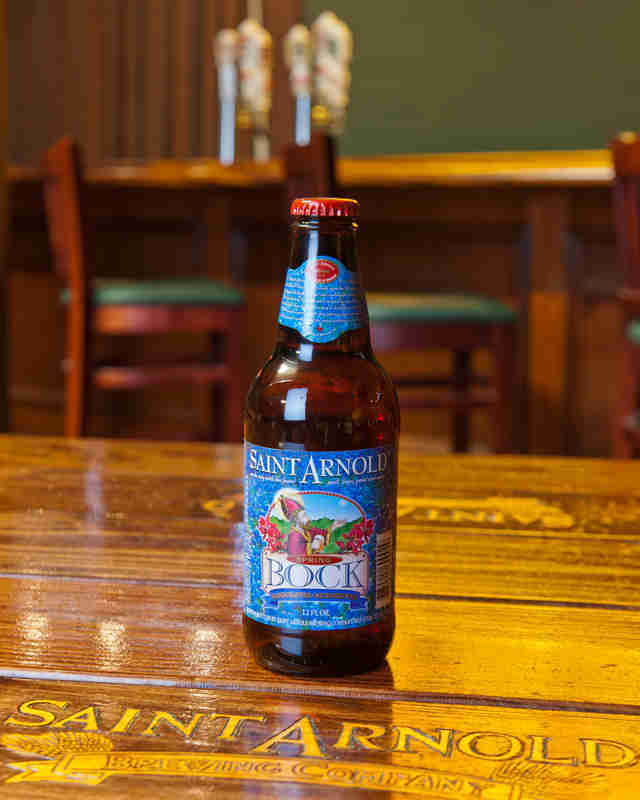 Saint Arnold’s Spring Bock is one of the boozier offerings that most will come across this season. Toasted malts give this beer a bready, malty body, much like your own body once you’ve give up on your New Year's resolutions. This bock has notes of toffee and sweet malts, with the right amount of hop finish. This beer can be deceiving: while it goes down easy, the ABV will catch up with you faster than you expected. This is a beer that will have you wishing you stocked up before the season was over. La Saison des Festivals is a crisp, refreshing saison that has a very balanced flavor of citrus tartness, with a hint of spice. There's a surprising, light hop bitterness that you almost don’t notice at first, coming from Magnum and Mosaic hops. This is a specialty you are not going to want to miss. White Rabbit is like spring in a glass. It is spiced with coriander and orange zest, which give the beer a clean, crisp flavor profile with a dry finish. It is one of those beers that feels refreshing, with a light body that is far from filling. 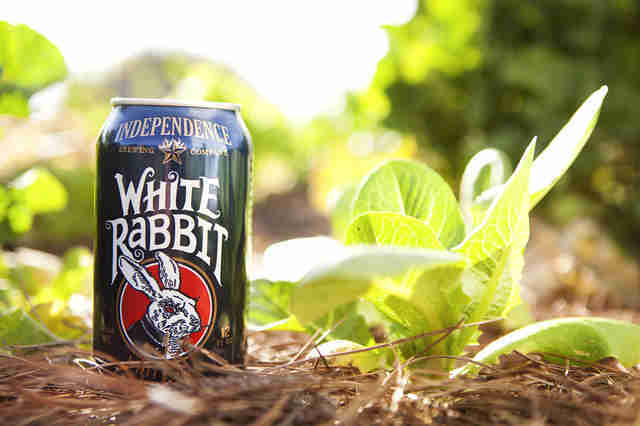 White Rabbit just might be one of our favorite spring seasonals, one that will make you wish spring break lasted all year. Ranger Creek’s Love Struck Hefe is a great example of a traditional hefeweizen with a very crisp, malty, citrusy profile, and just a little banana nose. It goes down easy, and holds it carbonation nicely as you sip it to completion (or did I just chug that?). This is a year-round release, so you can enjoy this great hefe any time you like. But something about spring makes it taste so much better. This Austin staple is a year-round must, but it is fitting for floating the river, hiking, or just hanging out on a patio. This traditional German-style hefeweizen is the true embodiment of springtime in Austin. Live Oak just recently started canning these beauties, so you can take them anywhere. It has a bouquet of banana and clove that transfers onto the palate with a softly sweet body. It is a true gem of a beer that you will be glad you experienced.